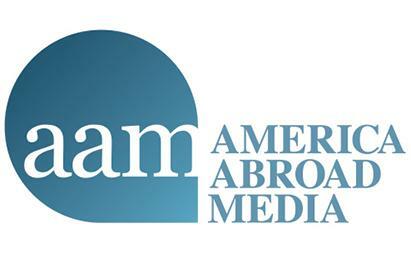 WASHINGTON, DC – On Wednesday, November 7th, America Abroad Media (AAM) will recognize Bernard Henri Lévy, Haifaa Al-Mansour, the first female filmmaker in Saudi Arabia, along with writer and producer Wahid Hamed and director Marwan Hamed for their commitment to purpose driven content at their annual awards dinner. The sixth annual event will also recognize two documentaries highlighting the Kurdish fight against ISIS Peshmerga and The Battle of Mosul, directed by Bernard Henri Lévy. The annual awards dinner brings together policy makers, diplomats and the Hollywood creative community to honor the people and organizations who exemplify the power of media to inform, inspire and positively impact society. Past honorees include H.R.H. Princess Rym Ali of Jordan, actress Hend Sabry, award-winning directors Kathryn Bigelow and Paul Greengrass, Showtime’s critically acclaimed series, Homeland, and Bollywood actor Aamir Khan. WHO: America Abroad Media Founder & President Aaron Lobel, Co-Chairs Former Under Secretary of State for Democracy and Global Affairs Ambassador Paula Dobriansky, General Michael V. Hayden, Former Chairman of MGM Studios and Paramount Pictures Frank Mancuso, Sr., Former Assistant Secretary of State Victoria Nuland, Motion Picture Association of American (MPAA) CEO Charles H. Rivkin and former Michigan representative The Honorable Mike Rogers and honorees including Haifaa Al-Mansour, Wahid Hamed, Marwan Hamed and Bernard Henry Lévy. Members of AAM’s Hollywood-Middle East Initiative including Bill Macdonald, writer and executive producer, Rome and Rough Riders, Mark Goffman, writer and producer, The West Wing and Sleepy Hollow, Jessica Mecklenburg, writer and producer, Stranger Things and Gypsy and more will also be in attendance. WHEN: Wednesday, November 7th, 2018 at 6 p.m.
HOW: Please e-mail Thomas Walter at twalter@mww.com to attend.